A law school friend wrote to ask for advice about an upcoming trip to Italy. She wanted to walk the cliffs of Cinque Terre, shop in Portofino, and take a small ferry along the coast to San Fruttuoso to see the monastery and the underwater bronze sculpture. 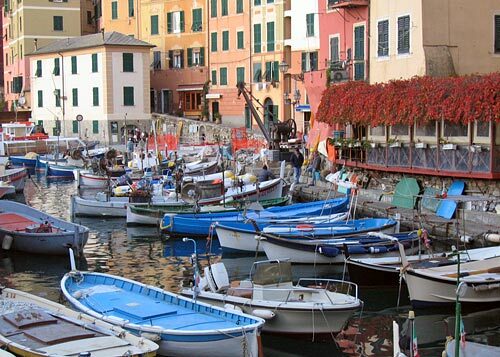 My advice was to start in the small picturesque fishing village Camogli, take the ferry south to San Fruttuoso and Portofino, stay overnight and then head to Cinque Terre. 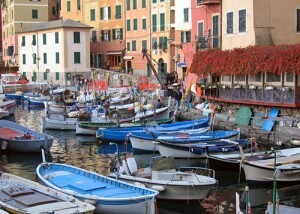 I then told her the story of my first visit to Camogli in October 1999 and wished her a very different experience. I wrote about the adventure in Haunted Honeymoon on Salon.com in March 2000.